Stockton, CA, WPH Press, 1/28/18- WPH Outdoor hosted its second event of the 2018 WPH Outdoor 7 season, with the top 4-Wall Big Ball stars in the world battling for the coveted Iceman trophy, WPH Outdoor ranking points, and WPH yellow jerseys in Stockton, CA. 2017 WPH Outdoor #1 Samzon Hernandez led a talented field of 4-Wall Big Ball superstars, aiming to kickoff his 2018 season with Iceman titles. “The Machine” was joined in Stockton by defending Iceman singles champion Manny Suarez, “El Hombre” Alfredo Morales, WPH Ironman Sal Duenas, Mauro Rojas, and a number of contenders. 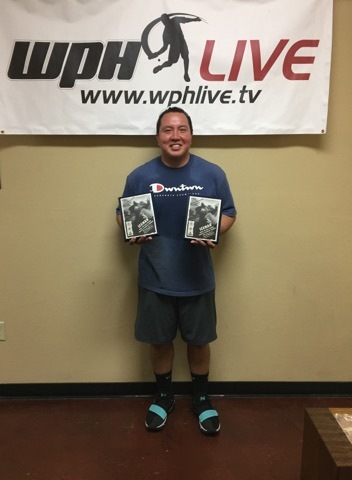 “We look forward to hosting the top 4-Wall Big Ballers every year and we’re really excited to have such a great field,” proclaimed Iceman tournament director and Northern California handball ambassador Angel Hernandez. Top-seeded Samzon Hernandez was nearly as dominant in the top half of the draw, ousting “Nacho” Delgado and Manuel Chavez en route to the semifinals and needing a tiebreaker to overcome Stockton’s Mauro Rojas to book his fourth consecutive appearance in the Iceman final. “Unfortunately, Samzon badly sprained his ankle in his semifinal win,” stated Iceman tournament director Angel Hernandez. What should have been a blockbuster Iceman singles final was unable to be played, as Hernandez’s ankle prevented the clash of Southern California rivals. Morales picked up his third WPH Outdoor singles title via finals forfeit. teban Erazo to slam the Iceman, defeating Ochoa/Hinojosa, Rojas/Duenas en route to the final and ousting an injured Samzon Hernandez and Diego Marin in a lopsided two-game final. 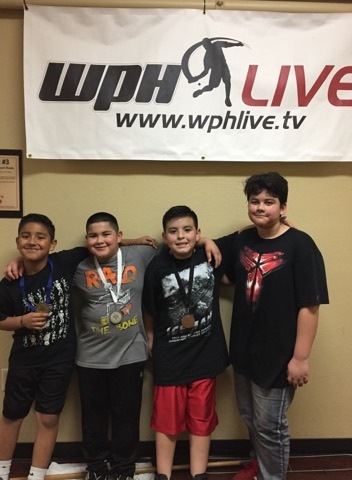 The 2018 WPH Iceman featured several dozen junior handball stars from Northern and Southern California. The youngsters took center stage at the Iceman, displaying exceptional skills and sportsmanship in Stockton’s biggest event. Junior national champion David Sanchez iii added another trophy to his mantle, winning the 19 and under singles, Louis Montes, Jr picked up his first JR WPH singles title in the 15 and under, while Tristen Hernandez captured the 10 and under singles.